Looking for a fresh-baked treat but don't have time to do it yourself? Stop by our bakery today. Our baked goods are primarily supplied by the Gering Bakery, one of the few "baked from scratch" bakeries. 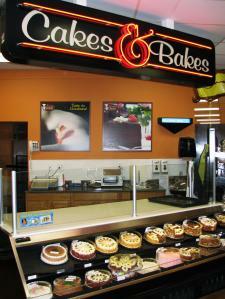 Choose from delicious donuts, breads, cakes, and pasty's. Need a special occasion cake? They can do that too!